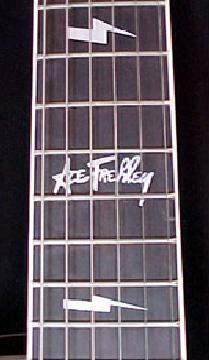 Ace Frehley Les Paul - The Story of "The 300"
1st appearance is in Mexico City, on 07Mar97. Did not have them in Australia eventhough he talked about them with Guitar World magazine while in Sydney. 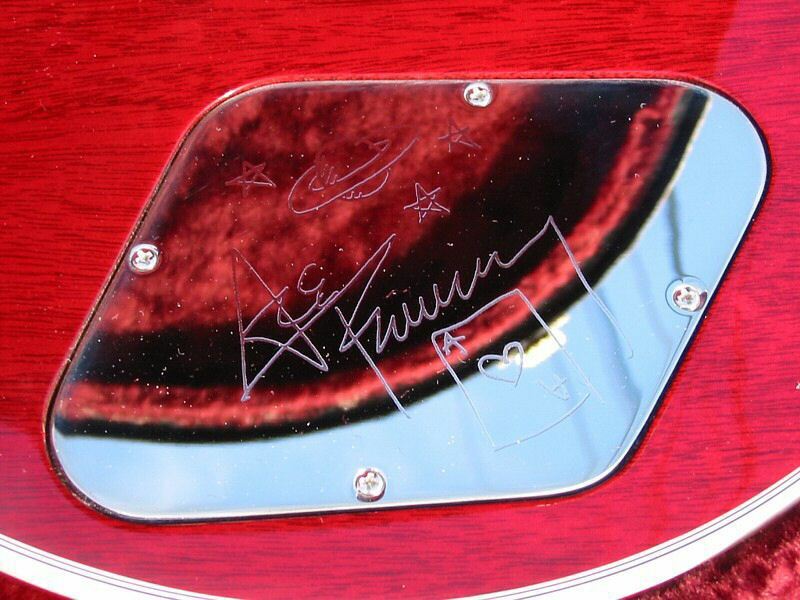 In late 1996, Gibson and Ace Frehley first got together to discuss the making of his signature line of guitars. According to Phil Jones, former Master Luthier at Gibson's Custom Shop and later, Gruhn's Guitars, both in Nashville; the process began with the production of two hand-made prototypes. Initially based on the Les Paul Standard; this design was soon moved onto the Les Paul Custom platform to more closely replicate Ace's original, Les Paul Custom. For greater detail about the various prototypes, check out the Prototypes page a little further into the site. 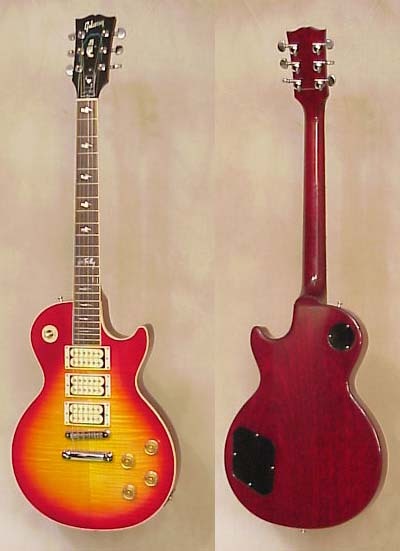 Excluding the two Les Paul Standard prototypes, the distribution portion of Ace's contract with Gibson provided for one group of privately and three groups of publicly distributed versions of his guitar. The privately distributed run was a total of 13 guitars; all going to Ace, to do with as he saw fit. The first Ace Frehley models produced for the retail sector, would be a limited edition, high-end run from Gibson's Custom & Historic shop. For the purpose of this site, I refer to these as "The 300", which was the extent of the Custom Shop run ... 300 guitars. "The 300" were made available, to music retailers at the 1997 Winter NAMM show ... the regular production run Les Paul Customs from the Gibson USA Shop would follow, later that year (built between August 1997 & January 2001 ... it is not known exactly how many were built) and a series of Epiphones, built overseas and available in three different finishes including two that would be exclusive to the Epiphone line. 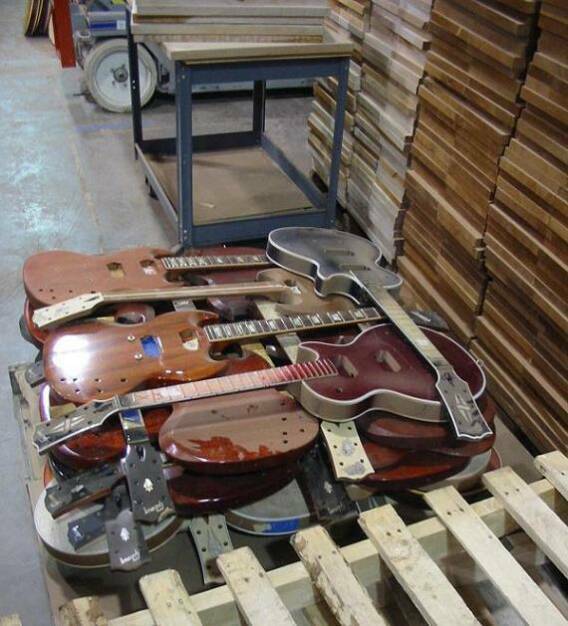 ** Note - All of Gibson's production shops have guitars that never make it to the end of the production line, for one reason or another ... finish flaws, a discoloration on the fretboard, a snapped headstock, a twisted or broken neck, etc.. Some guitars are never even completed and end up on the *disgard pile even though they may already have a serial number stamped on the back of the headstock. 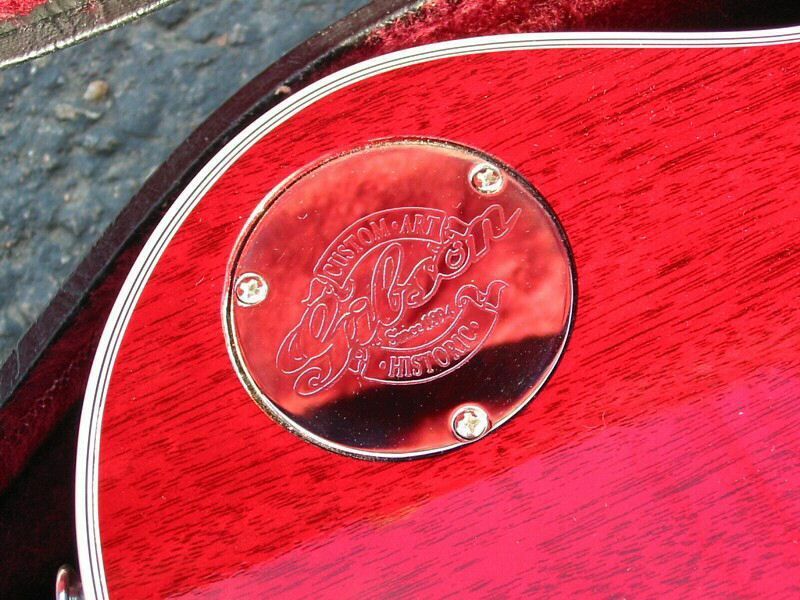 As I learned when visiting Gibson's Nashville factories in 2007, a disgarded guitar with a serial number already on it will not cause the serial number sequence to be re-set nor will they build a replacement guitar and re-stamp it, for each one that is disgarded. So, this means that even though we're talking about '300' of Ace's Signature guitars being built in the Custom Shop, all 300 of them may not have passed "quality control" and made it to the shipping desk. Gibson couldn't tell me the exact numbers for the Ace Frehley run, but, they did acknowledge that roughly 5 to 7 percent of guitars are disgarded everyday and in every run they produce. So, the math says that approximately 15 to 21 (5 to 7%) of "The 300", never saw the halogen lamps of your local guitar shop's display wall. * From the disgard pile, guitar bodies go out to the wood chipper and the chips are then sold to Jack Daniel's Distilery to become the charcoal that they filter their whiskey through ... Yes, this is 100% true !!!! By the winter of 1997, the Kiss Reunion tour was reaching Japan, Australia and New Zealand. 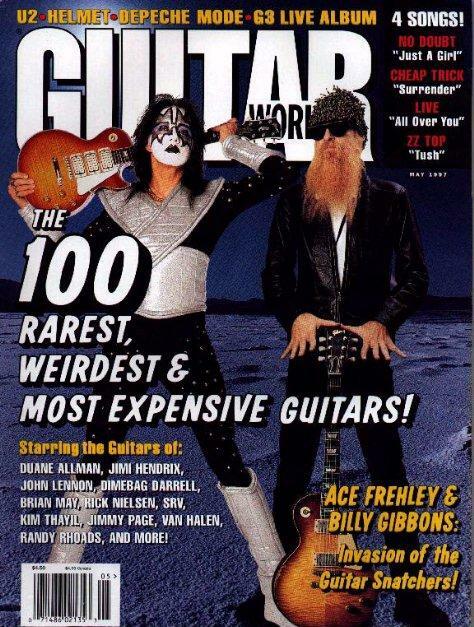 Ace was interviewed for Guitar World Magazine, from his hotel room in Sydney, Australia, during the first week of February, 1997. The article was published in the May, 1997 issue and this was the first time Ace spoke about his new Signature Series guitars. "Have you seen my new Gibson model" ? "They debuted it at the winter NAMM show and it sold out in an hour" !!! 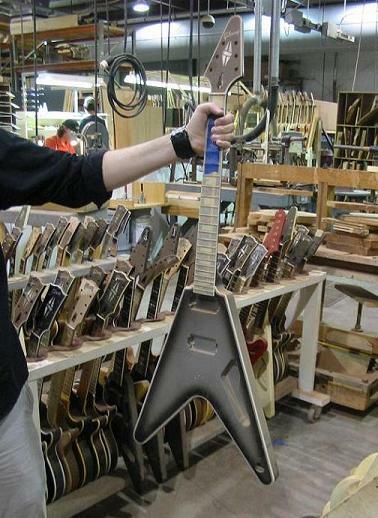 In reality, the guitars were actually sold before they were built ! The winter NAMM show takes place every year, in mid-January, in Anaheim, California. 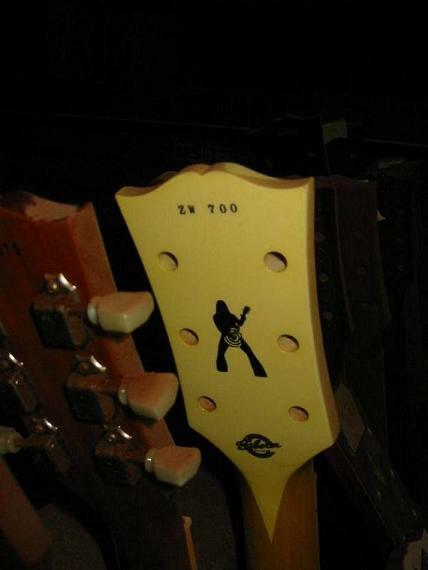 Based on the Pre-Pack and Final Pack check lists, included with the guitars, "The 300" were actually built between early March and late June of 1997 ... thus selling out before they were built. Below is what Gibson offered on their press release/feature sheet, about the guitar .... but DON'T always believe everything you read !!!!! However, very early on, something wasn't happening as it was supposed to, when it came to the pickups being installed in "The 300" guitars. 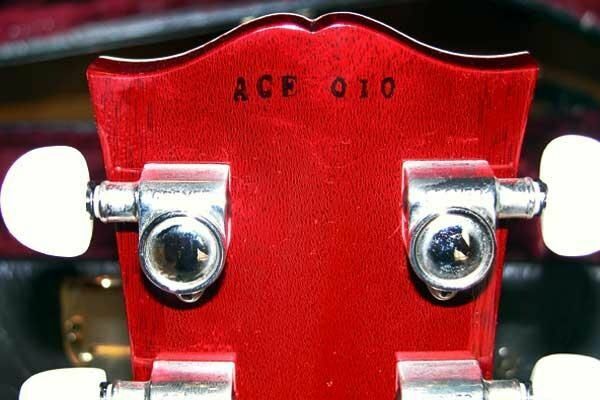 What first got me going on this point was when a friend of mine (Dave Varilek) noticed that ACE 139 had different pickups than his guitar, at the time, ACE 004. So, I visually checked the pictures of the guitars I have in my gallery and discovered that most of them don't have the allen screw pole pieces typically associated with DiMarzio Super Distortion and Dual Sound pickups. 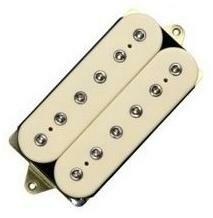 They have the flathead screw pole pieces usually found in the DiMarzio PAF (DP103) pickups. 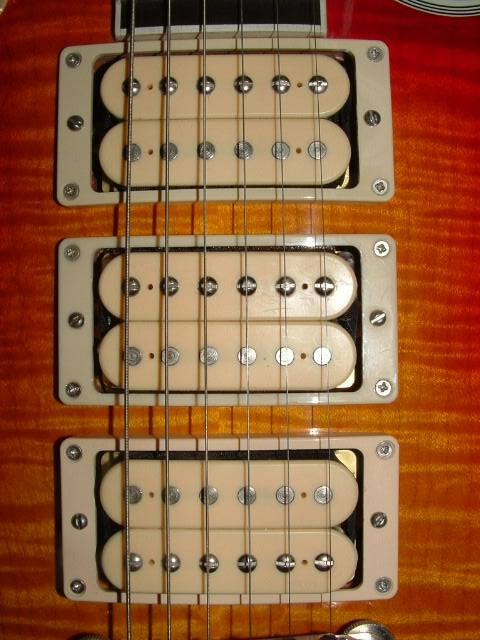 I began asking some of the owners, exactly which pickups were in their guitars. Guess what ? Many of the owners found they had DP103s (DiMarzio PAFs), with flathead pole pieces and not the advertised DP100 / DP101 combination. In fact, some guitars have all DP103s ... some have all DP100s ... some have all DP101s. Most have a combination of all three pickup types and far fewer actually have the pickup combination that Gibson advertised !!! "I had no idea about the pickup issue until I read your site. 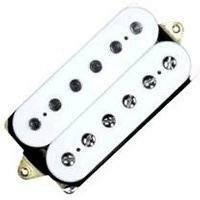 My guitar has ________ pickups in it". I could go into detail about which guitars have which pickups, but I won't. There's no point. However, I will say that there's no rhyme or reason to the pickup discrepencies. Guitars that were built one after the other (i.e. 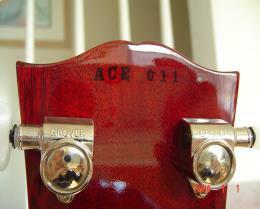 ACE 189 and ACE 190) have different pickup combinations. Anyway, don't be surprised to find that your Ace Frehley Custom Shop may not be loaded with the pickups you think it is or that it was supposed to have ! Do I think either Gibson or DiMarzio deliberately tried to mislead anyone, at anytime ? No, not really. I honestly think that DiMarzio just wasn't initially prepared for the volume of pickups that Gibson required and they had to scramble to fill the orders, sending PAFs in place of the Super Distortion and/or Dual Sound pickups. The good news is that by the time Gibson USA began building the production model Ace Frehley Les Paul Customs; DiMarzio had an adequate supply of Super Distortion and Dual Sound pickups and I have yet to come across the same discrepency with any of the production model guitars. 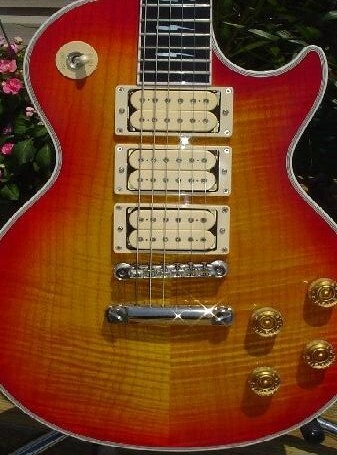 Another section of the contract between Ace and Gibson was that Ace's guitars would be the only 3 pickup, Heritage Cherry Sunburst Les Pauls that the Gibson USA facility would produce at any time, present and/or future. 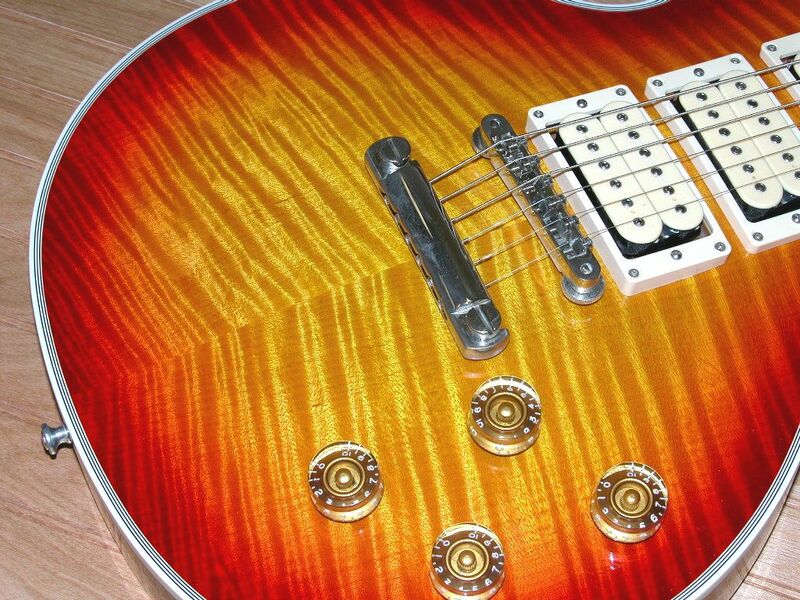 Gibson's Custom Shop was permitted and did produce a 3 pickup, Heritage Cherry Sunburst Les Paul Custom Classic, in 2008, during their "Guitar Of The Month" promotions, that year. In some ways, this guitar more closely resembled Ace's original guitar than his Signature models do.